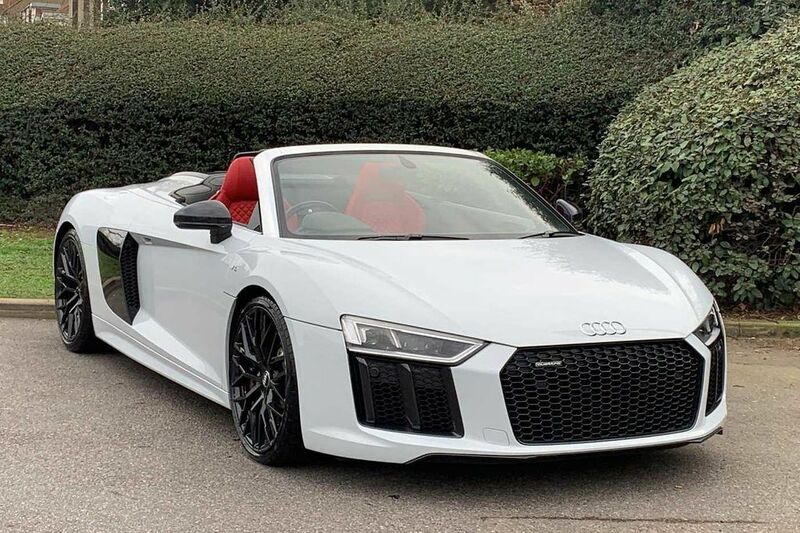 Enjoy the high-end performance of our Audi R8 V10 Spyder hire car with a breathtaking amount of acceleration and handling; absolutely everything you could possibly want from a supercar rental. The quality interior is comfortable and the seats are made from fine Nappa leather for a truly luxurious ride. All you need to do is sit back, relax and enjoy the power that comes from the superbly engineered V10 engine. The spine-tingling performance that this car brings will leave you wanting more. The 5.2-litre engine will produce an incredible 398lb ft of torque with an outrageous 550BHP. Change gear as quickly as 0.2 seconds with no interruption to the power flow with the newly designed S-Tronic double-clutch gearbox. The onboard computer will naturally pre-select the next gear in anticipation of your next move, making your driving experience that much easier.